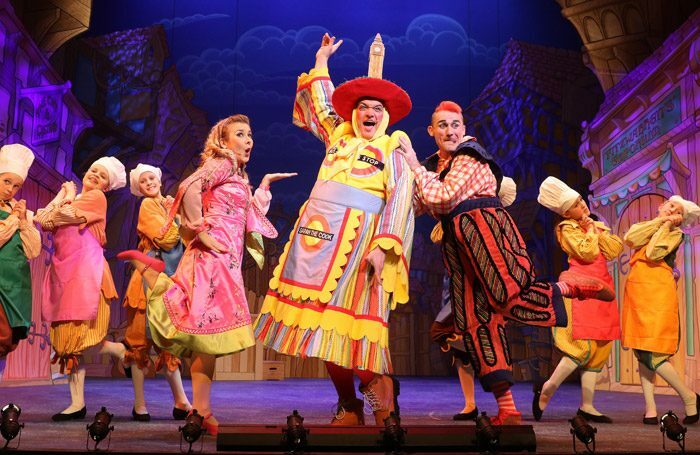 Professional circus clown Tweedy is in his pomp in his home town pantomime at Cheltenham’s Everyman Theatre. It’s well worth arriving 15 minutes early just to catch his zany pre-curtain auditorium antics, while his aerial skills and frenetic humour captivate young and old. There is a comfortably familiar feel to the top-of-the-range production standards, with writer/director Phil Clark making sure his 11th successive Cheltenham panto sticks strictly to the rags-to-riches storyline. Mark Roper`s Sarah the Cook is a less flamboyant dame than usual, while Andrew Westfield`s fiendish King Rat is comprehensively vanquished by newcomer Ben Goffe`s big-hearted Tommy the Cat. Molly McGuire, in the title role, and Ruth Betteridge (Alice Fitzwarren), can both belt out a song, so the only disappointment is that there is no original music. The rather tired songbook relies entirely on the likes of Half A Sixpence, Barnum, HMS Pinafore and Fame. Everyman returner Lynette Clarke`s jovial Fairy Bow Bells is a reassuring antidote to a sizeable horde of rats, and another bonus is the skill of all the cast in ensuring that familiar pantomime ingredients, such as the Bake Off scene in a pitching-and-tossing ship`s kitchen, are not swamped by Tweedy`s circus capers. The regular design team of Phil R Daniels and Charles Cusick Smith are also at their best on board ship with brand new sets and costumes.